For patients with asymptomatic mitral regurgitation (MR), the criteria identifying the groups at higher-risk and their clinical outcome are still uncertain. Therefore, in these patients, optimal time of surgery remains controversial. The purpose of this study was to compare left atrial (LA) strain to other echocardiographic left ventricular (LV) and LA parameters for the prediction of cardiovascular outcomes in patients with moderate asymptomatic MR. We enrolled 395 patients with primary degenerative moderate asymptomatic MR. Exclusion criteria were: history of atrial fibrillation, myocardial infarction, heart failure, cardiac surgery or heart transplantation, severe MR, mitral valve surgery during follow-up. Patients were prospectively followed for 3.5 ± 1.6 years for the development of cardiovascular events i.e. atrial fibrillation, stroke/transient ischaemic attack, acute heart failure, cardiovascular death. Of 276 patients (mean age 66 ± 8 years) who met eligibility criteria, 108 patients had 141 new events. Patients who developed cardiovascular events presented reduced global peak atrial longitudinal strain (PALS), reduced LA emptying fraction, larger LA volume indexed and lower LV strain at baseline (p < 0.0001). With receiving operating characteristics (ROC) curve analysis, global PALS < 35% showed the greatest predictive performance (AUC global PALS: 0.87). Bland–Altman analysis demonstrated good intra- and interobserver agreement with small bias and Kaplan–Meier analysis showed a graded association between PALS and event-free-survival rates. 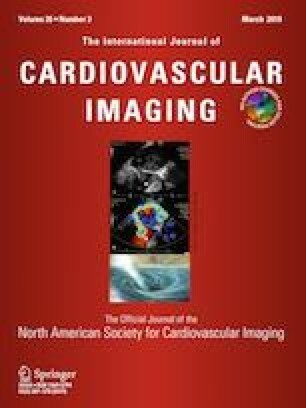 Speckle tracking imaging could provide a useful index, global PALS, to estimate LA function in asymptomatic moderate MR in order to optimize timing of surgery before the development of irreversible myocardial dysfunction.